Handmade objects are always a good gift idea for Christmas. Simply because the recipient appreciates the effort and time the hobbyist hast invested to come up with a personalised present. – Even it might not be as perfect as the same bought from a shop. One wide, about a one-meter-long board. The side length of the square timber gives you the width of the lamp shade at the narrowest point. Mark this on the board. Starting from the marked point draw a line at a 45-degree angle. This is repeated three times in total, with the narrow side marked on the respective opposite side of the board. Once the four side panels are cut, you can cut out various other shapes and symbols using a jigsaw. Subsequently, the side panels are glued together, so that kind of pyramid is formed. The top section is the wooden square, which is also glued or screwed to the side parts. 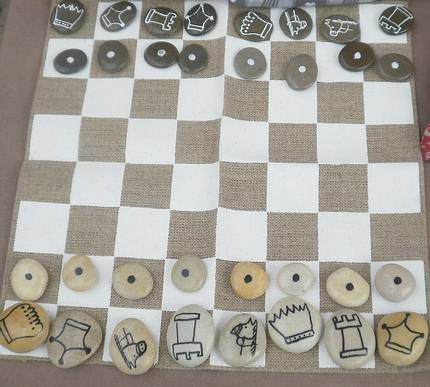 The kitchen towel is used as a chessboard. Therefore, it must have 64 squares, or it has to be divided into 64 equal fields. Half of the pebbles are coloured black; the other half remains in its natural state. Now different symbols are drawn onto the pebbles in black or respectively white colour. For example, the peasant could receive only a dot while the symbol for the king is a crown. This craft idea is very suitable for a holiday at the seaside or by a river, where one can find the right stones. That makes the game of chess is unique. Using a saw, create one flat platform on the log. 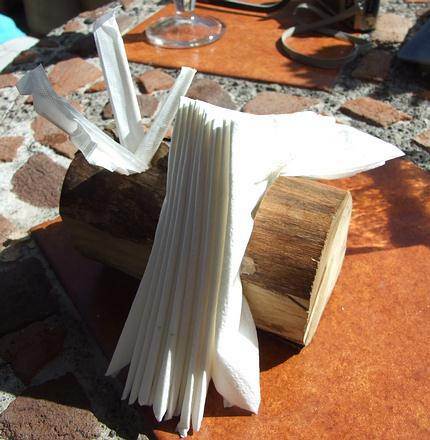 This creates the base of the napkin holder. Once that is done, cut a wide rectangular piece out, using the cutter. That is where the napkins will go. Right next to it, cut out, with the round cutter, another gap, which later can hold toothpicks. This will ensure that napkins and toothpicks are always at your fingertips at your dining table. 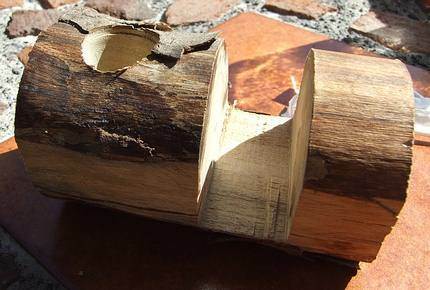 Small pieces of wood that can be used as a substrate and therefore should be flattened on one side. 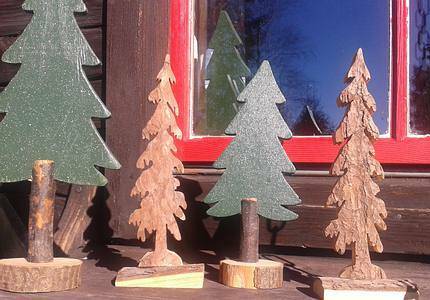 The desired figures, for example, trees are first laid out on the plywood and then best cut out with a scroll saw. Then they are clamped into the branches and glued to the bottom piece. If necessary, you can cut little slits into the branches, to give your figures a better hold. The fastening can be done with glue, nails or screws. 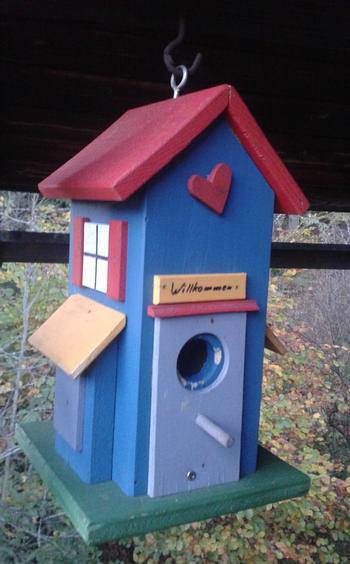 The bird house can be used as a decorative element, or it could actually provide food for the birds during winter. 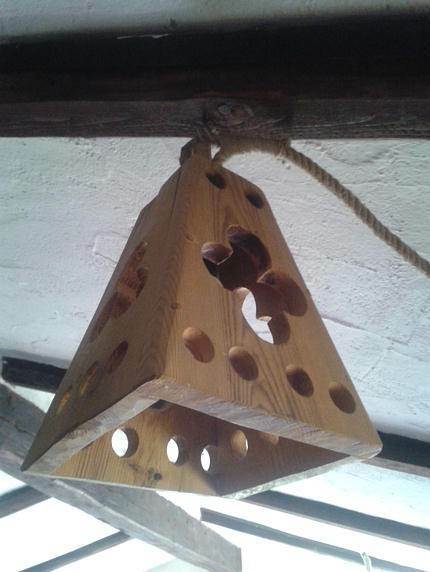 The bottom is cut in a way so that they side walls of the birdhouse fit nicely. If the bird house is supposed to have a pitched roof, the sidewalls have to be cut accordingly. For a flat roof, it is sufficient that they have approximately the same length. At the front, using a jigsaw, you cut an opening. Then the side walls are mounted on the bottom panel and glued to each other. Finally, the roof is placed on top.